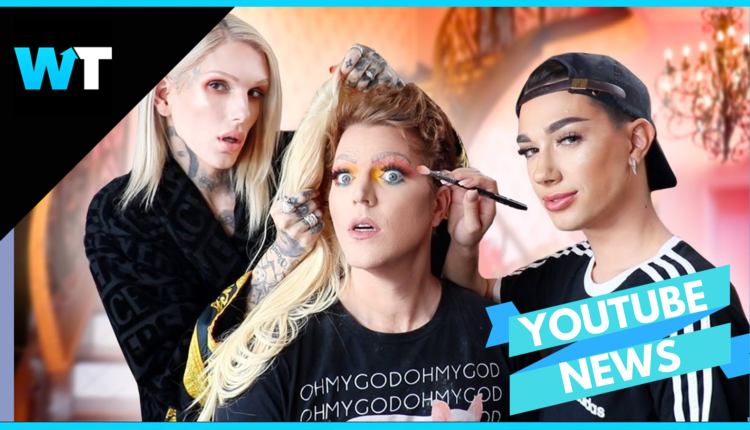 This was a crazy year for creators both old and new here are the Top 10 Creators of 2018. The ones with the most views, the most influence, and creating the most conversation. Here they are! Mr Beast is 20 year old Jimmy Donaldson whose video typically show him doing extreme tasks or donating lots of money. His videos showing the best and worst intros on YouTube gained him a lot of followers, and this year, he really broke into the public consciousness with his public and expensive campaigns to keep Pewdiepie as the #1 subscribed channel against Bollywood channel T-Series. Mr. Beast bought billboards and paid people to subscribe to Pewdiepie’s channel. Mr. Beast is really also really into Fornite and with a combination of his original content and campaigning for Pewdiepie, he’s earned himself a spot in the top 10 creators of the year. Mr. Beast created 85 videos this year and gained 1,100,811,437 (over 1.1M) views with an average of 12,950,722 (12M) views per video. He had 2,998,404 (2M) comments and 26,950,213 (26M) likes. This 27 year old Twitch streamer who specializes in Fortnite who had a slight controversy earlier in the year when he claimed he wouldn’t stream with female gamers out of respect for his marriage, which earned him the nickname the “Mike Pence of Twitch”. Despite this controversy, Ninja created 345 videos this year and gained 1,487,865,339 (over 1B) views with an average of 4,312,653 (4M) views per video. He had 2,860,655 (2.8M) comments and 45,331,022(45M) likes. Ninja shot to stardom after Drake tweeted a link to his stream. Drake and Ninja agreed to lobby Epic Games to incorporate more hip-hop dance crazes into Fortnite’s character animations, which of course, contributed to the popularity of the game. Goo Goo Colors is a family operation focusing on toy unboxings and skits that center around the colors of things. There’s not a lot out out there about the behind the scenes of this channel, but it is very popular. Goo Goo Colors created 141 videos this year and gained 868,660,445(over 800M) views with an average of 6,160,712 (6M) views per video. The channel had 9,374 (9K) comments and 1,903,589 (1M) likes. This sports comedy channel features twins Coby and Cory Cotton, Garrett Hilbert, Cody Jones, and Tyler Toney, all of whom are former high school basketball players and college roommates at Texas A&M University. The most popular videos feature trick shots and stunts. The channel rose to fame after collaborating with sports stars and suffered minor controversy over speculation that their stunts were fake. And in case you’re wondering, no one was able to prove they were fake. Dude Perfect created 26 videos this year and gained 877,511,760(over 877M) views with an average of 33,750,452 (33M) views per video. The channel had 1,138,698 (1M) comments and 1,8274,759(1.8M) likes. Jake was also the subject of an in-depth documentary series by Shane Dawson that exposed the behind the scenes operations of Team 10, the Paul family and exactly what is going on inside the mind of Jake Paul. Jake created 195 videos this year and gained 1,114,512,951 (over 1B) views with an average of 5,715,451 (5M) views per video. The channel had 5,319,894 (5M) comments and 26,228,148 (26M) likes. Popular for his stunt and vacation vlogs, Stephen is a 20 year old YouTuber whose energy has captured millions. His brother and sister also have their own YouTube channels, and they document their hijinks in their daily lives. Stephen created 172 videos this year and gained 697,503,389 (over 600M) views with an average of 4,055,252 (4M) views per video. The channel had 2,034,159 (2M) comments and 8,174,538(8M) likes. Ex-basketball player Austin McBroom pivoted his career into this collaborative YouTube channel, the ACE family, which also includes wife Catherine Paiz and daughters Elle and Alaia. The Ace Family made 153 videos this year and gained 1,023,117,213 (over 1B) views with an average of 6,687,040 (6M) views per video. The channel had 12,687,354 (12M) comments and 68,393,697(68M) likes. Cole LaBrant first gained popularity on Vine and quickly rose to fame on YouTube with his now wife Savannah and little Everleigh and their brand new baby. The Ace Family made 123 videos this year and gained 691,492,671(over 600M) views with an average of 5,621,891 (5M) views per video. The channel had 2,602,909 (2M) comments and 15,479,366 (15M) likes. Shane is an OG YouTuber who has been regularly a top creator for over 10 years. But this year, he took his channel and the platform in general, to a whole new level. Shane created a new niche by utilizing his unique access to YouTubers by making in depth documentary series featuring controversial YouTubers. This won him Creator of the Year at the Streamys. Shane made 71 videos this year and gained 791,687,712(over 700M) views with an average of 11,150,531 (11M) views per video. The channel had 5,679,604 (5M) comments and 41,909,649 (41M) likes. 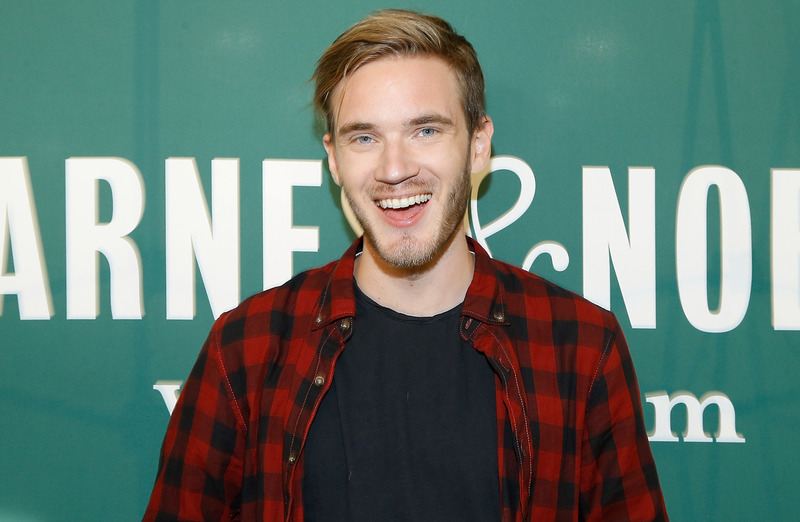 Pewdiepie has reigned as the top channel on YouTube since 2013 and despite his recent race against Bollywood channel T-Series, he has maintained the top spot. Pewdiepie has made a video practically every single day of the year, coming in at 361 videos this year and gained 2,146,514,938 (over 2B) views with an average of 5,946,024 (5M) views per video. The channel had 13,544,178 (13M) comments and 134,867,608 (100M) likes. And that the What’s Trending and Tubular Top Creators of the year! Who was you favorite creator this year? Let us know in the comments or on Twitter at @WhatsTrending.